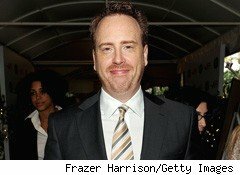 Comcast (CMCSA) has tapped former Showtime President Bob Greenblatt to run NBC Entertainment, as the cable giant continues to reorganize the leadership at the network in advance of its proposed acquisition of NBC Universal from General Electric (GE), Reuters reported, citing a company memo written by incoming NBC Universal CEO Steve Burke. Greenblatt will be in charge of prime-time and late-night programming, where ratings have lagged those of ABC, CBS and Fox. He won't officially take over until the merger is completed, the wire service said, citing the memo. Comcast last December made a deal to acquire a controlling stake in NBC Universal from GE to create a $30 billion media business, Reuters said. Comcast is trying to complete the acquisition by the end of the year, and has stepped up discussions with U.S. regulators, the wire service said, citing people familiar with the process it didn't identify. Earlier this week, NBC head Jeff Gaspin said in a memo that he would leave the company after the transaction is completed. Comcast in September named Burke, its chief operating officer, to replace Jeff Zucker as CEO of NBC Universal.